In the middle, on the right: Props to my SIL! 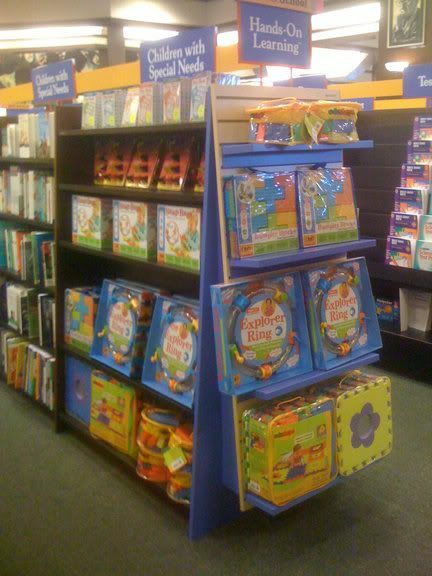 Development by Design is having a trial run in Barnes & Noble! Very exciting for us! If you know anyone near any of these stores, please send them to stock up on any kid gifts they will need for the next year! If we do well, we expand to all B&N Stores!